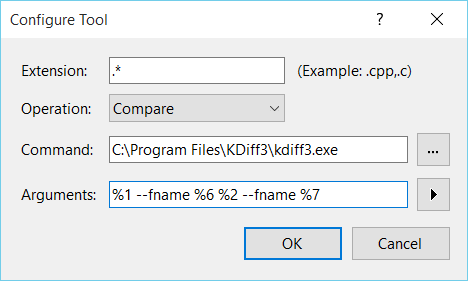 One tip I picked up after many years of using Visual Studio and TFS is that the default diffing tool in Visual Studio is… lacking. 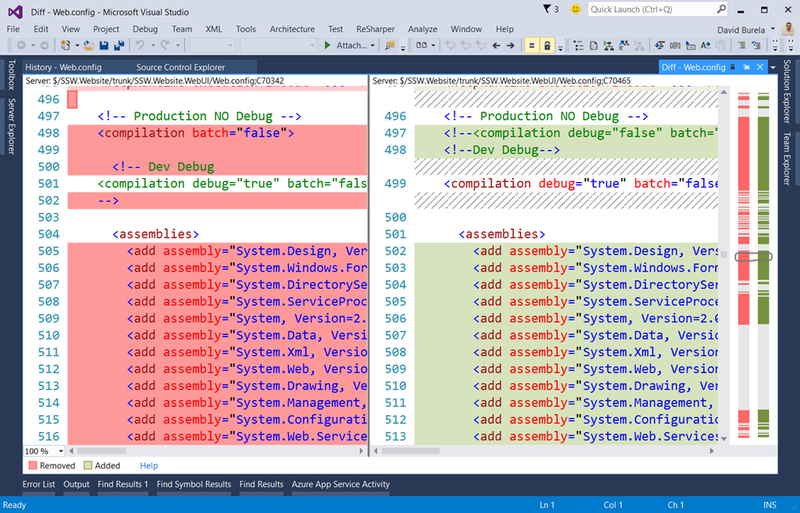 But the great thing is that you can customise Visual Studio to use a different diff and merge tool. 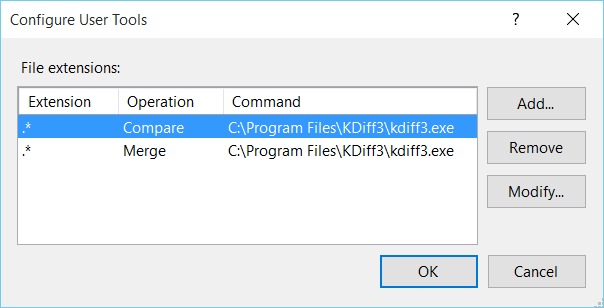 My tool of choice is KDiff 3 (Package also available on Chocolatey.org) as it is free and open source. Meaning I am able to just install it via Chocolatey on all my machines without a second thought. Here is a great example of why you may want to change your default diff tool. Below is a web.config file that was reformatted by a tool and simply put an additional space before the closing tag. Visual Studio flags every single line as having changed, but I can’t find the actual lines that were changed by me. From Visual Studio select Tools –> Options. 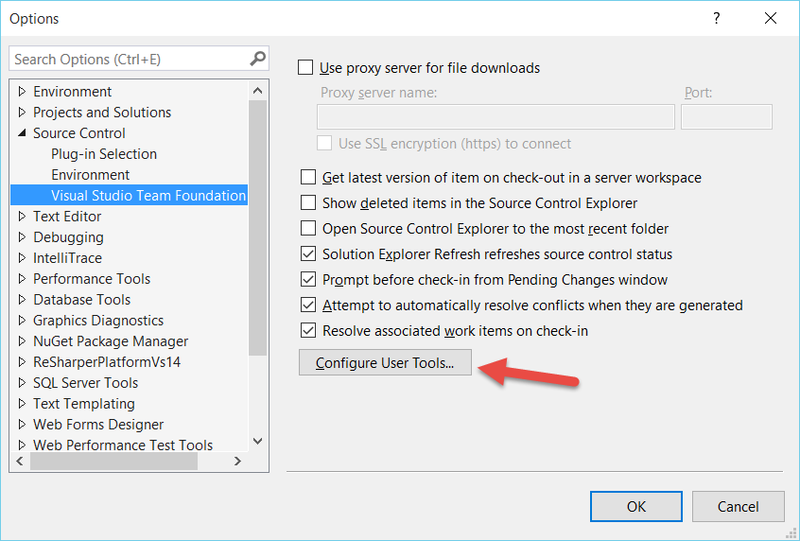 Then navigate to Source Control –> Visual Studio Team Foundation. Then click Configure User Tools. In the configure use tools screen. Click Add. The table below is duplicated from a 2006 blog post. I’d hate for the content to ever disappear off the web. All credits go to the James Manning’s original post. Great collection, thanks a lot! !